The 1 & Only Summer Sale Starts NOW! The 1 & Only Summer Sale Starts NOW! Enjoy 20% off all orders over $25! The more you pop in your cart the more you save! Pop $50 in your cart, only pay $40, saving $10 which is like 1 pattern free! Grab $100 worth, pay $80, save $20, wow that's 2 patterns free!!! Hooray! ★52 New patterns released so far this year! 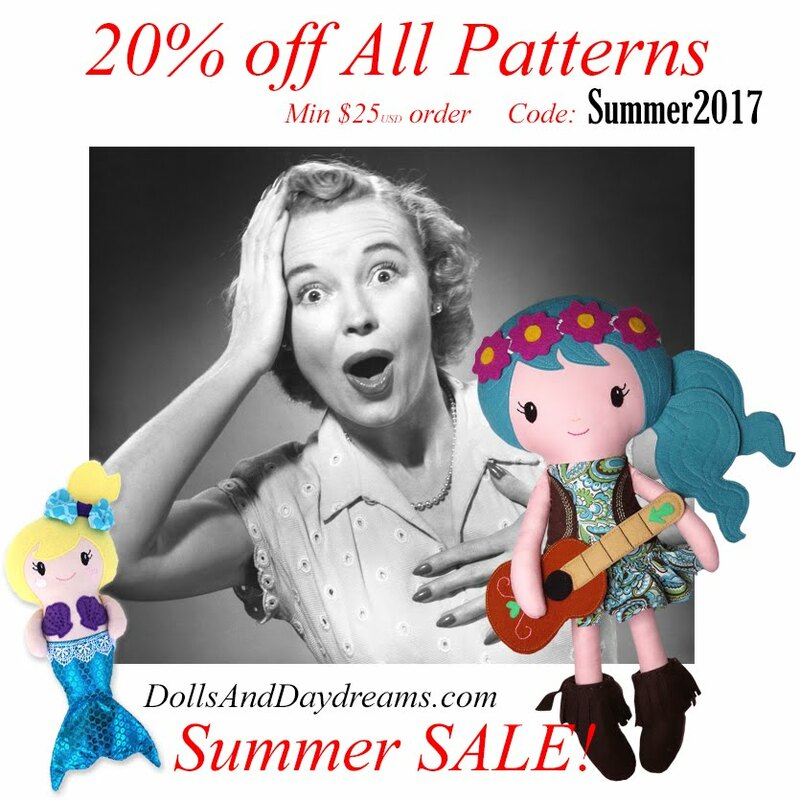 ★Over 400 Patterns to choose from! ★Create something New Today! Thank you everyone for your love and support! I adore seeing your creations and can’t wait to see what you will all be making next! Hugs and Very Happy Sewing!